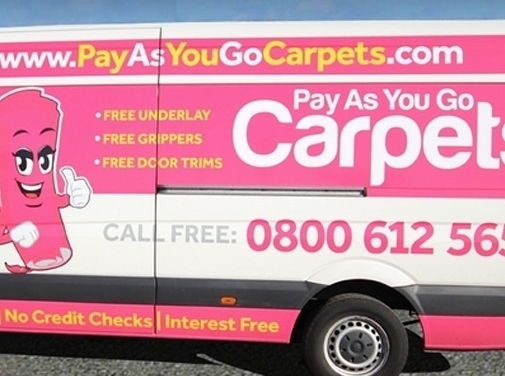 Pay as you go carpets provide a £10 a week payable product and service. You can pay Weekly for carpets, blinds, laminate and different kinds of flooring. Apply now and get £800 credit! UK (Durham) business providing carpets on a "pay as you go" basis. Website includes details of products and services provided, testimonials, associations, full contact details including company registration number. Company is regulated by the Financial Conduct Authority. Company is regulated by the Financial Conduct Authority.